I’ve had a busy year already after climbing Mt Kilimanjaro in early January. I also did some volunteer work in an orphanage and schools in Tanzania – even taking English classes for 10 year old Tanzanian kids! When I returned home I started my 2nd year of Aviation at Griffith University. 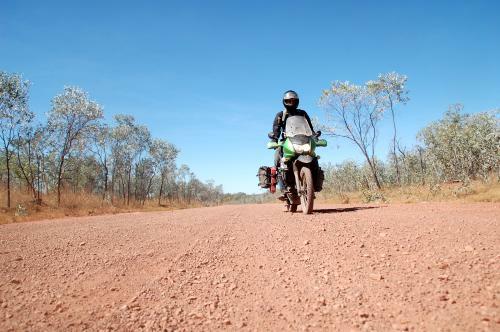 In our Uni holidays (June/July), Dad and I grabbed our motorbikes and motorbiked around Australia – we managed to visit every State and Territory and visit every capital city in 30 days. The Gibb River Road through the Kimberleys in Western Australia was spectacular, with Tasmania’s West Coast being another highlight. Jack's dad Brendon is doing the ride with him. Brendon is a former Ironman Triathlete, marathon runner, marathon swimmer, ultra endurance cyclist......and male nurse (that's where he met Jack's mum - she was a nurse too). Brendon is 41 and looks a lot older! Mel (Jack's mum) looks very, very young and we will not divulge her age!